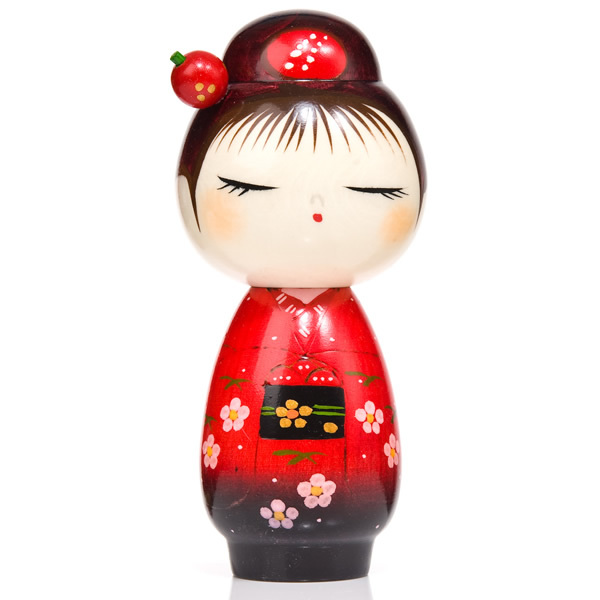 The fun and flirty Pretty Red Hairpin Japanese Kokeshi Doll is a light-hearted, contemporary take on the traditional Japanese doll. Dressed to impress with a pretty floral dress, cute hairpin and lashings of mascara, this authentic Japanese doll would make the perfect gift for the beautiful woman in your life. 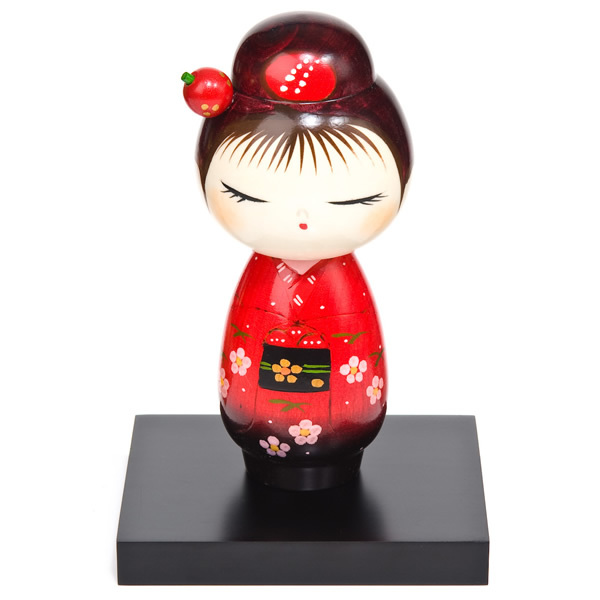 Display the Pretty Red Hairpin Japanese Kokeshi Doll on a medium sized wooden base, available to buy separately, and she'll look picture perfect. 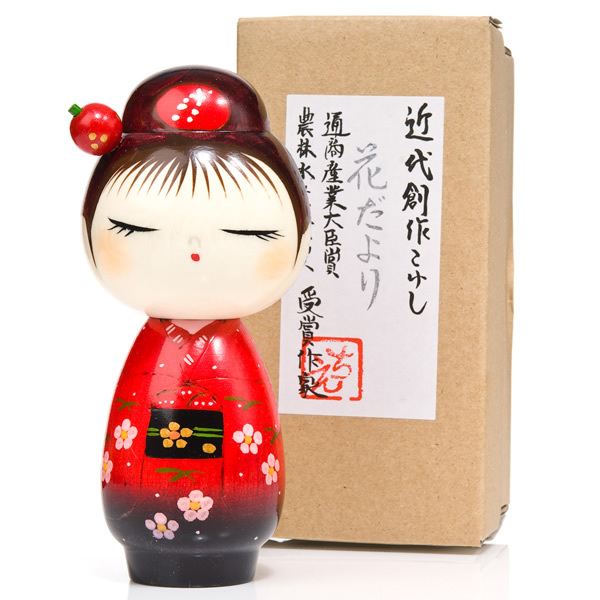 Order the Pretty Red Hairpin Japanese Kokeshi Doll online and remember to take advantage of our authentic gift wrapping service. 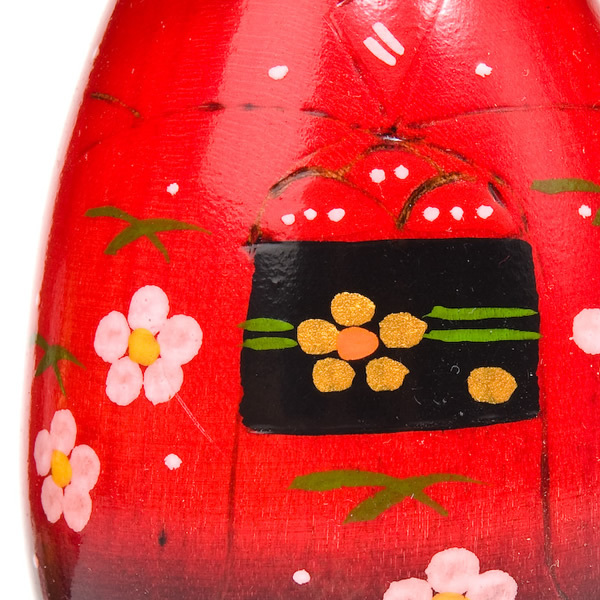 Alternatively, visit our showroom in Harrogate to browse our full selection of distinctive gifts from Japan. She is a bit vain, isn't she? But that's so sweet about her, and I love her hairstyle. I received the kokeshi dolls yesterday. They are so cute!! It has been a pleasure making business with the Japanese Shop. Arigatou gozaimasu! !